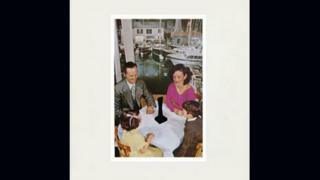 Image caption He created the cover art for Led Zeppelin's Houses of the Holy and their Presence album. The black obelisk was referred to simply as The Object. 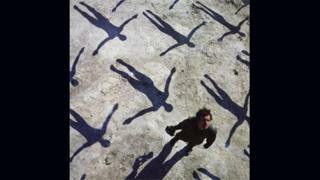 Image caption He returned to his prog-rock roots when he worked with Muse, beginning with 2003's Absolution. 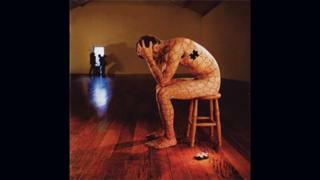 All Copyright owned by Storm Thorgerson. Pink Floyd drummer Nick Mason is among the artists who have praised album artwork designer Storm Thorgerson, who has died aged 69. In a statement, he recalled his "great ideas and high, sometimes infuriatingly high, standards". Mason said the artist - whose work included The Dark Side of the Moon - was a "tireless worker right up to the end". Vocalist Dave Gilmour called him "an inseparable part of our work". The childhood friend of the founding members of the band, he became their designer-in-chief, fashioning a string of eye-catching creations. Mason said: "Two days before he passed away, and by then completely exhausted, he was still demanding approval for artwork and haranguing his loyal assistants." He said the artist was a "dear friend to all of us, our children, our wives (and the exes); endlessly intellectual and questioning; breathtakingly late for appointments and meetings, but once there, invaluable for his ideas, humour, and friendship". 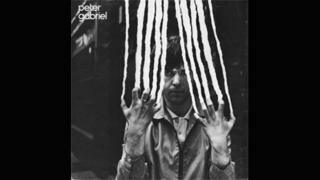 Thorgerson credits also include albums by Led Zeppelin, Peter Gabriel and Muse. "He had been ill for some time with cancer though he had made a remarkable recovery from his stroke in 2003," it said. "He is survived by his mother Vanji, his son Bill, his wife Barbie Antonis and her two children Adam and Georgia." 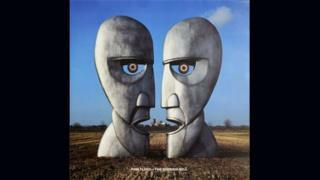 Pink Floyd guitarist and vocalist Dave Gilmour said: "We first met in our early teens. We would gather at Sheep's Green, a spot by the river in Cambridge and Storm would always be there holding forth, making the most noise, bursting with ideas and enthusiasm. Nothing has ever really changed. "He has been a constant force in my life, both at work and in private, a shoulder to cry on and a great friend. I will miss him." A statement on the Pink Floyd.com official site said: "We are saddened by the news that long-time Pink Floyd graphic genius, friend and collaborator, Storm Thorgerson, has died. Thorgerson began his career with UK design group Hipgnosis, founded in the late 1960s and his distinctive style made him one of the industry's most recognisable artists. 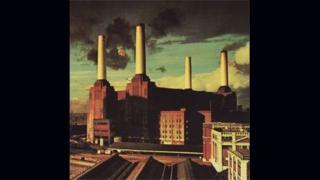 Among his Pink Floyd covers, there was the mournful-looking cow on the front of Atom Heart Mother, the burning businessman on the sleeve of Wish You Were Here, the giant pig flying over Battersea Power Station and the prism spreading a spectrum of colour across The Dark Side Of The Moon. He told the BBC in 2009: "It's a nice but simple idea. Refracting light through a prism is a common feature in nature, as in a rainbow. I would like to claim it, but unfortunately it's not mine!" 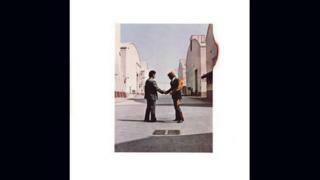 The idea was sparked by Pink Floyd's keyboard player, the late Richard Wright, he explained. "He said, somewhat provocatively, 'Let's not have one of your photos, we've had your photos before. Can't we have a change? A cool graphic - something smart, tidy, elegant.'" Fans and artists, including Spandau Ballet's Gary Kemp, also took to Twitter to express their sadness - The Telegraph's rock critic Neil McCormack tweeted: "RIP Storm Thorgerson. The pig has flown." Blur guitarist Graham Coxon said simply: "Storm X".